Greer Relief is partnering with the South Carolina Bar Association (SCBA) to offer the community a series of FREE legal clinics. 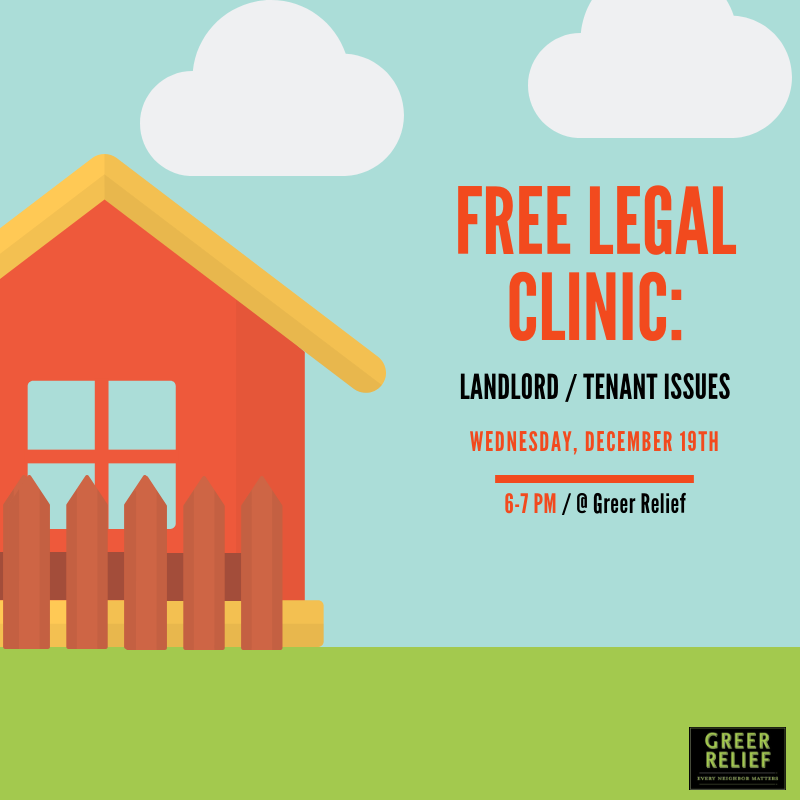 This session will be based around landlord/tenant issues. This class will be held on December 19th from 6-7 PM at Greer Relief. Only participants 18 and up are eligible for a RENEW Reward. Register here.